"It was an absolutely magical performance. The inter-generational cast was full of talent. The show was laugh-out-loud funny and wonderfully done." 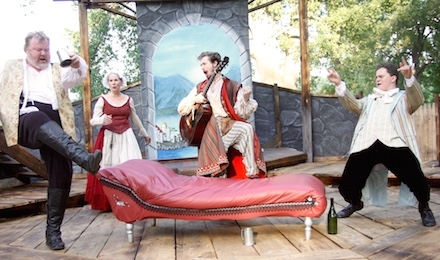 "The performance was outstanding and very enjoyable. 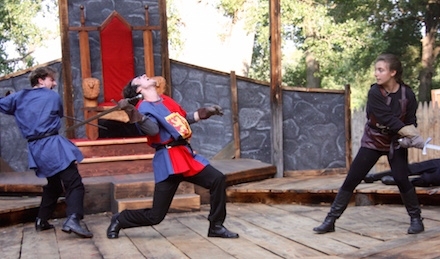 It was our 12-year-old daughter's first Shakespeare play so we wondered how she would react (whether the would understand the lines, the story, etc). She was completely caught up in the story and the performance (she didn't get it all, but it opened a lot of great discussion on the drive home)." "Absolutely wonderful production!!! Talented cast! 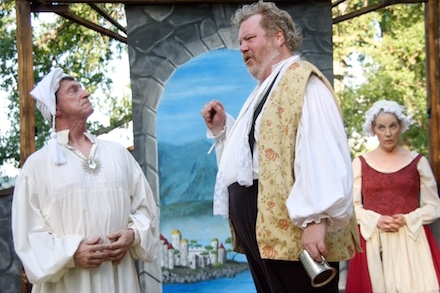 We thoroughly enjoyed our first experience with Ithaca Shakespeare Co."
"Excellent! The acting, costumes, and staging were all very lovely and apt. It was very funny. I hope the actors were gratified that my kids were laughing so hard at their antics. Their performances made the whole family happy." 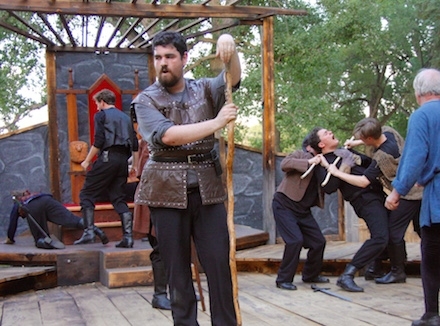 "Beautiful alchemy - the simple but symbolic set with symmetrical sides for all the opposing groups & ways to remove bodies & enter, wonderful acting, great costumes, motion & realistic fighting & deaths! How on earth could you have so many seamless changes on stage? We so enjoyed it all!" "Your shows are always a pleasure, and tonight was no exception. We really appreciated your efforts to help us keep all the characters clear. 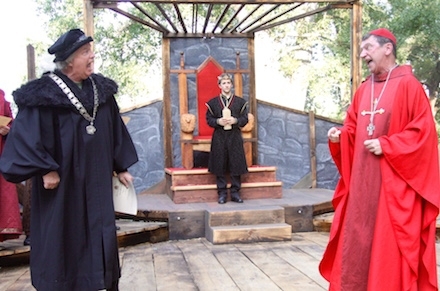 We enjoyed the staging, the costumes, and the interesting character portrayal -- especially the contrast between Henry and Richard (not yet the III), each of whom was everything the other was not." "It was like a Maxfield Parrish painting come to life as the clouds billowed, the birds flew & the Mockingbird piped up & the light slowly changed. And the huge trees a part of the set...not to mention the lake & boats." 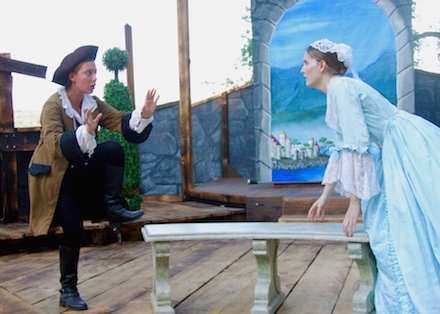 All performances at Allan H. Treman State Marine Park, on Route 89 behind the Hangar Theatre.